Urbanites have apparently found an answer to rural California's long nefarious history of cow-tipping. A group of men in San Francisco have allegedly taken to car-tipping. Three Smart cars were "tipped over" late Sunday or early Monday, local media reported. The pint-sized, two-door coupes were either set on their hind quarters or tipped completely over. The feat of upending a car listed at roughly 1,800 pounds may take more muscle than merely pushing over a snoozing cow, but the vandals also appeared to know what they were doing, according to one witness. Brandon Michael told KGO-TV that he stepped outside to smoke a cigarette when he saw a group of eight people in hooded sweatshirts walk up to one of the Smart cars. "I thought they looked like they were up to no good and then sure enough they walk up to this Smart car right here, all huddle around it and just lift it up and set it on its hind legs -- that's pretty much it," he told the station. I know I shouldn't laugh, but this is funny. I don't recall such a fad back in the day when every other car was a lightweight VW Bug or Honda's motorized roller skate. Can you imagine the thoughts going through the owner's head when he goes out in the morning to go to work? when I was in high school, there was a teacher that drove a bug. he came out after school one day to find his VW Beetle inside the bicycle area. we lifted it over the 2 foot high posts and carried it in and set it next to the bike rack. When i was in high school our music teacher drove a Toyota--almost unknown in small town America then. One day, when the track team came back from running the "block" (a country block--a mile on a side, four miles altogether), we got a brilliant idea. There were two old, huge oak trees in front of the gym, so we lifted his car, and carefully lowered it between the two trees--it's wheels were about two feet off the ground. Then we made ourselves scarce. 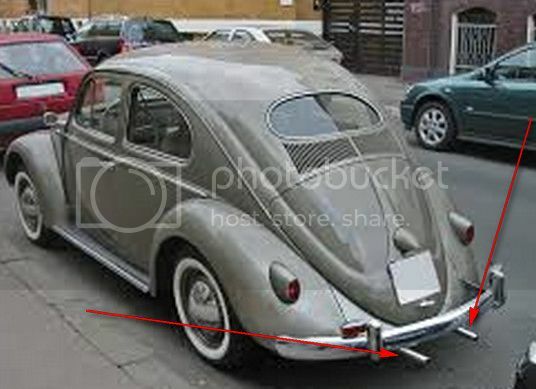 Hamburgboy reported his VW bug stolen back in around 1970. Turned out some teenagers had picked it up and carried it down the street. VW's were suspended from trees during frosh week a few times. They were popular for carrying around. The most we ever did was carry a friend's motorcycle up a few flights of stairs and put it in a shower stall. I don't recall why we did that. I don't recall why we did that. In high school (class of '69) four or so football players took the vice principle V-dub, picked it up and placed it between two trees bout 8' foot apart. The first event at Kent State in May '70 was a bunch of angry sports fans rolling over two cars the day after Nixon announced his "incursion" into Cambodia. They were designed for such. So, it's not a new fad. I would think it is just a variation on any practical joke. But, since more than one person is required, this might show how "birds of a feather flock together," so to speak. It really reflects the inability to empathize with the victim. Or, just do it yourself schadenfreude, in my opinion. I wonder if it correlates to a certain type of class, race, and intelligence? It appears very Caucasoidal, in my opinion. It almost seems like Eddie Haskell (Beaver's older brother's friend) lives on. The caption for these photos could be, in my opinion, a la Farside cartoons: Male bonding gone bad. Beaver had a younger brother? 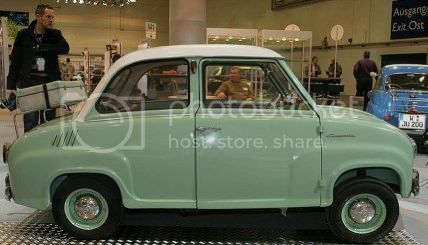 When I was a kid, my next door neighbor, a locksmith, had an Isetta. I found I was quite capable of hoisting the front end on to the curb while he had it parked. The first time he thought it was funny.